Dhahran International Hotel - Presidential Suite - . 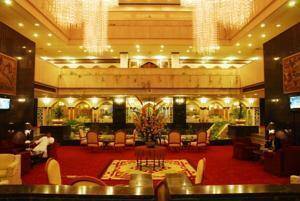 Dhahran International Hotel - Royal Suite - . 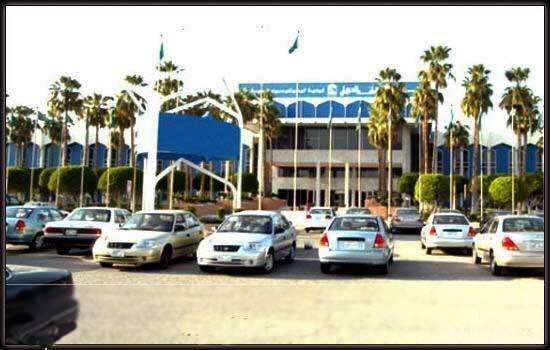 Dhahran International Hotel is a four stars hotel, it is located in Beside King abdulAziz Air Base, Aqrabiyah, Dhahran. 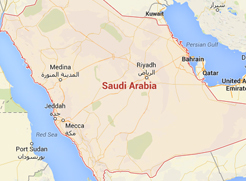 It is only 2.5 km away from Rashid Mall, Dammam International Airport is 30 minutes’ drive from the hotel. With its unique location, the hotel owns a wonderful design and a comfortable furniture. Dhahran International Hotel includes two restaurants and an ice cream shop on site. This property offers currency exchange on site. Enjoy discovering Hafr Al-Batin City by visiting the important landmarks such as: King Fahd University of Petroleum and Minerals, Dhahran Mall, and Al Rashid Mall. Free WiFi is available in the hotel rooms, and free private parking is possible on site to enjoy a wonderful stay. When would you like to stay at Dhahran International Hotel? The room includes one large double bed, and this room also offers minibar, safety deposit box, electric kettle, tea/Coffee Maker, and private bathroom. It is with an area of 18 square meters to enjoy a comfortable stay. 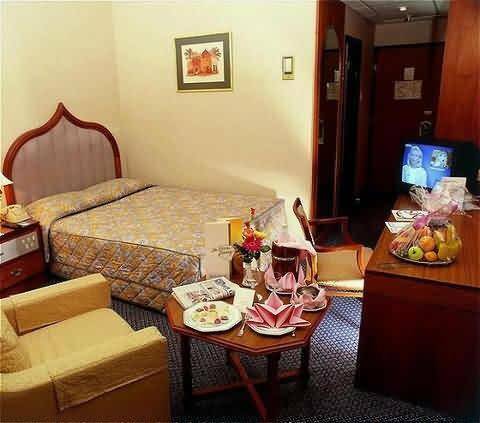 Dhahran International Hotel - Deluxe Single room - . The suite includes one extra large double bed, and this suite also offers a separate dining area and a living room with large couches and a coffee table, seating area, sofa, dining area, minibar, safety deposit box, electric kettle, tea/Coffee Maker,and private bathroom. It is with an area of 24 square meters to enjoy a pleasant stay. 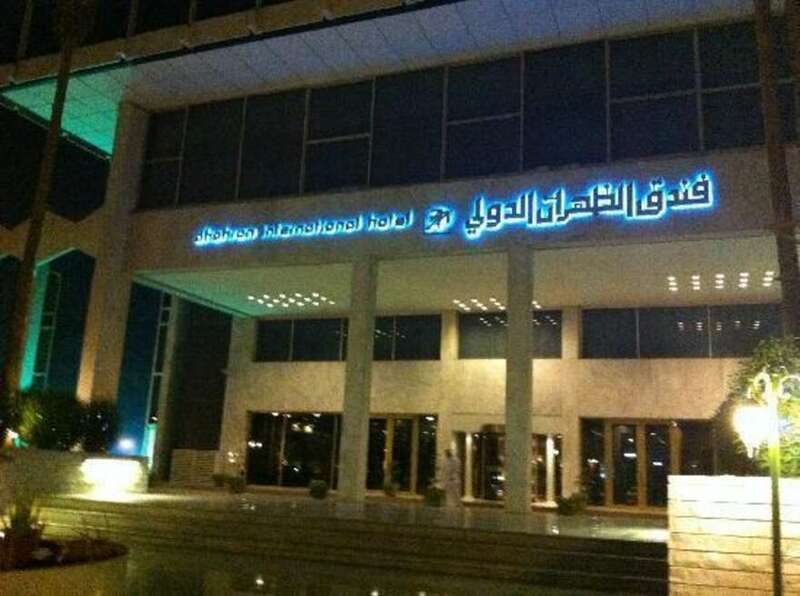 Dhahran International Hotel - Executive Suite - . The suite includes one extra large double bed, and this suite also offers a separate dining area and a living room with large couches and a coffee table, seating area, sofa, dining area, minibar, safety deposit box, electric kettle, tea/Coffee Maker,and private bathroom. It is with an area of 24 square meters to enjoy a convenient stay. Dhahran International Hotel - Presidential Suite - Dhahran International Hotel - Presidential Suite - Dhahran International Hotel - Presidential Suite - . The suite includes one extra large double bed, and this suite also offers a separate dining area and a living room with large couches and a coffee table, seating area, sofa, dining area, minibar, safety deposit box, electric kettle, tea/Coffee Maker,and private bathroom. It is with an area of 24 square meters to enjoy a wonderful stay. Dhahran International Hotel - Royal Suite - Dhahran International Hotel - Royal Suite - Dhahran International Hotel - Royal Suite - . The room includes one large double bed, and this room also offers minibar, safety deposit box, electric kettle, tea/Coffee Maker, and private bathroom. It is with an area of 18 square meters to enjoy your stay. 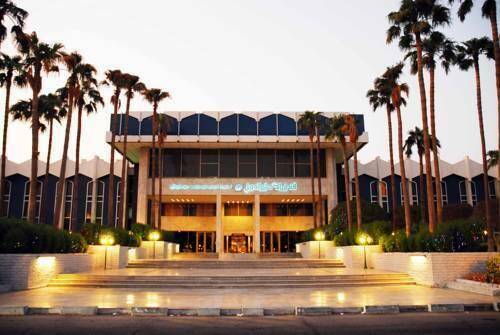 Dhahran International Hotel - Standard Double Room (2 Adults) - . The room includes one large double bed, and this room also offers minibar, safety deposit box, electric kettle, tea/Coffee Maker, and private bathroom. It is with an area of 18 square meters to spend a wonderful time. 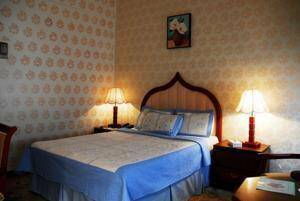 Dhahran International Hotel - Standard Room - . Dhahran International Hotel contains a highly convenient units with total number of 191 rooms and suites, all decorated in warm colours and simple decor, and fully equipped with all sort of services and amenities such as wardrobe, air conditioning, telephone, minibar, flat screen TV with satellite channels and DVD player, safety deposit box, electric kettle, tea/Coffee Maker, and private bathroom with a bathrobe, slippers, and luxurious toiletries. Moreover, some include a spacious seating area with large couches and a coffee table. The units include these types and sizes: Presidential Suite, Deluxe Single Room, Royal Suite, Double Room, Executive Suite, and Single Room. 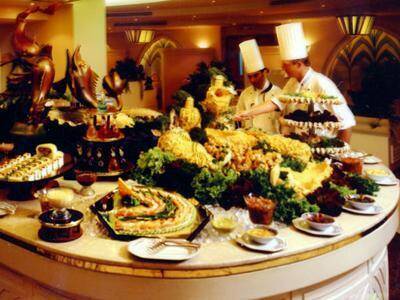 - All-day restaurant that serves an international buffet-style breakfast. - Al Hambra Restaurant that serves Spanish dishes. 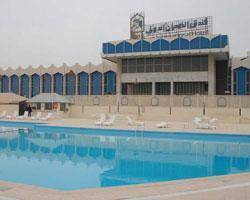 Dhahran International Hotel includes an outdoor swimming pool, fitness center, sauna, and there is a garden to spend the best times ever. 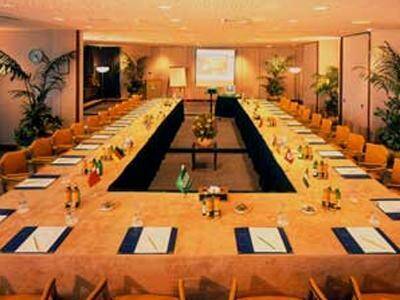 Dhahran International Hotel offers a business centre, and meeting/banquet facilities.